Summer is only halfway over . . . Looking for new ideas for fun with the kids? 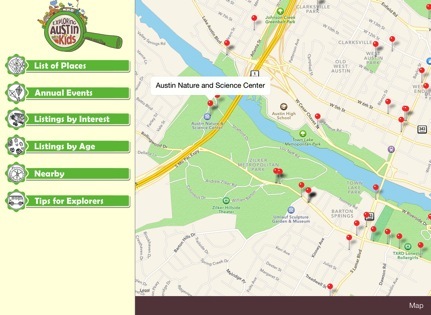 Try the revised & updated Exploring Austin with Kids app! It contains the same content as the guidebook with listings by interest, age, and location - plus added mapping features. 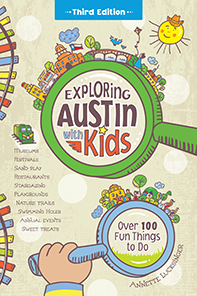 So you can pinpoint nearby adventures to city parks and splash pads, pools and swimming holes, public libraries and bookstores, museums and toy stores, hiking spots and easy day trips. Available for iOS devices.